Known for coastline views and lemon groves for days, the Amalfi Coast will steal your heart. 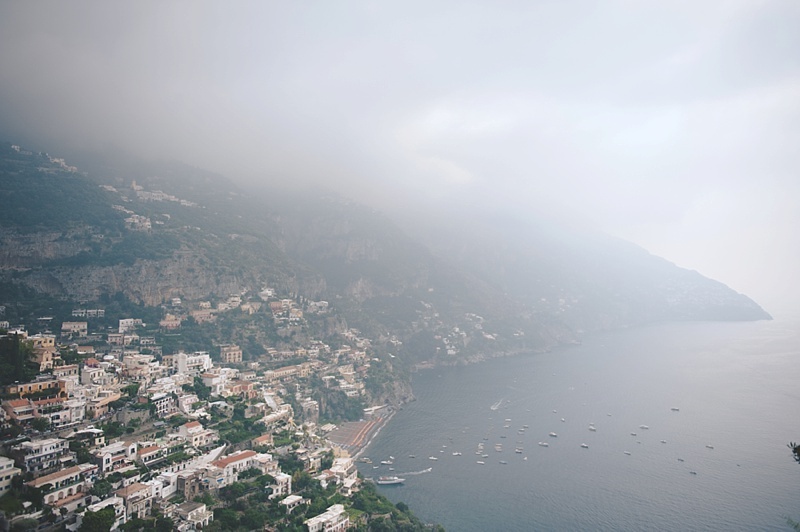 efore the Amalfi Coast, England has always reigned as top of the world when it came to traveling for me. 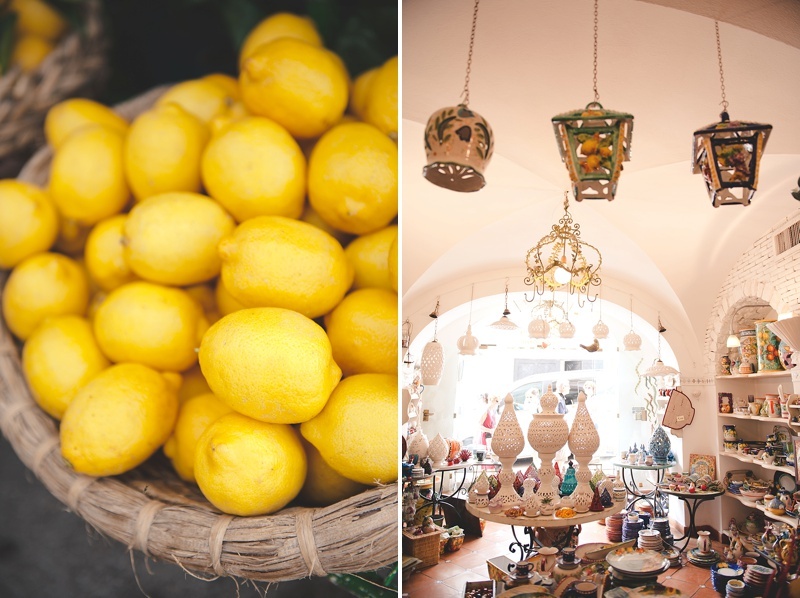 But the moment our private tour car drove into Positano and I saw the gorgeous ceramic artwork hanging from artisan windows and the miles of lemon groves, I knew I was hooked. Since the towns and regions of Italy were part of our Mediterranean cruise tour, we packed for the cool summer temperatures when at sea and on land. It was windy on the Amalfi Coast since it was entirely all cliffs overlooking the Mediterranean Sea, so my husband and I made sure to bring a light jacket along with our shorts, light shirts, and dresses. Even though we had a car thanks to our hired driver, there was a bit of walking involved with curvy steep hills, so comfortable shoes are a must! 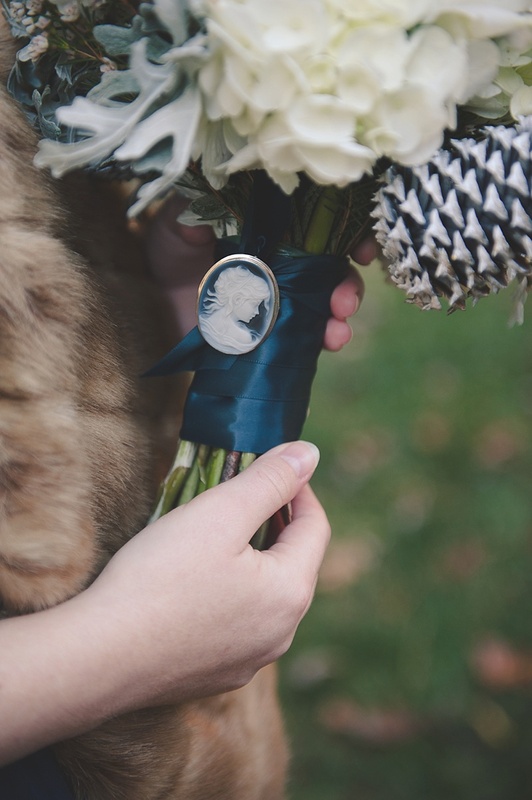 Quick Tip: Even if you're not a photographer, bring a camera! The views are breathtaking and memorable. I ended up making large format prints to decorate our home and am so glad that I didn't leave the camera on the cruise ship that day. 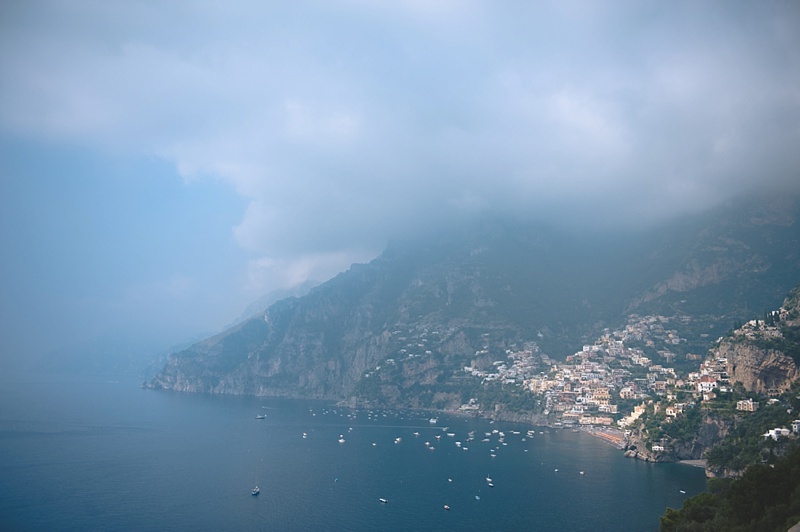 While Naples/Amalfi Coast was just one stop, it was worth every penny to hire a private driver to take us (two others couples and my Mom also went) into Positano, Sorrento, and Ravello from the Naples Cruise Port. Winding around the cliffs and overlooks, the drive alone is a beautiful one. 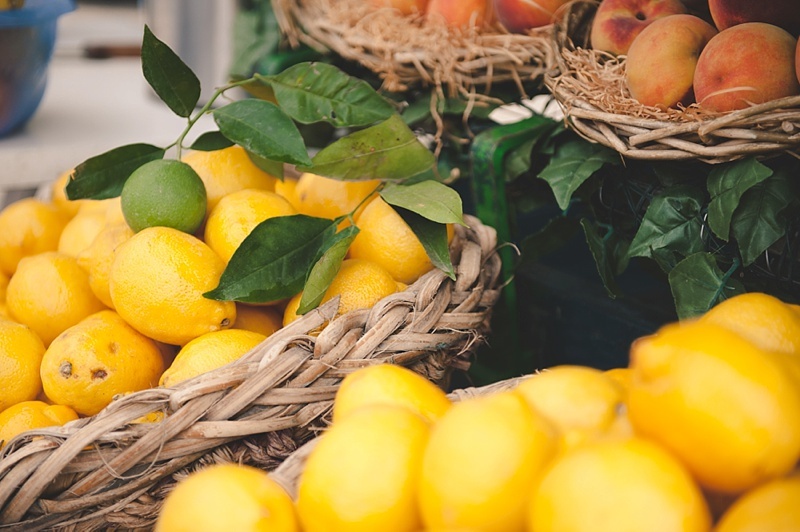 Quick Tip: Most of the Amalfi Coast shops accept credit cards, but cash definitely is recommended since foreign exchange rates can vary and some can charge additional fees of their own. 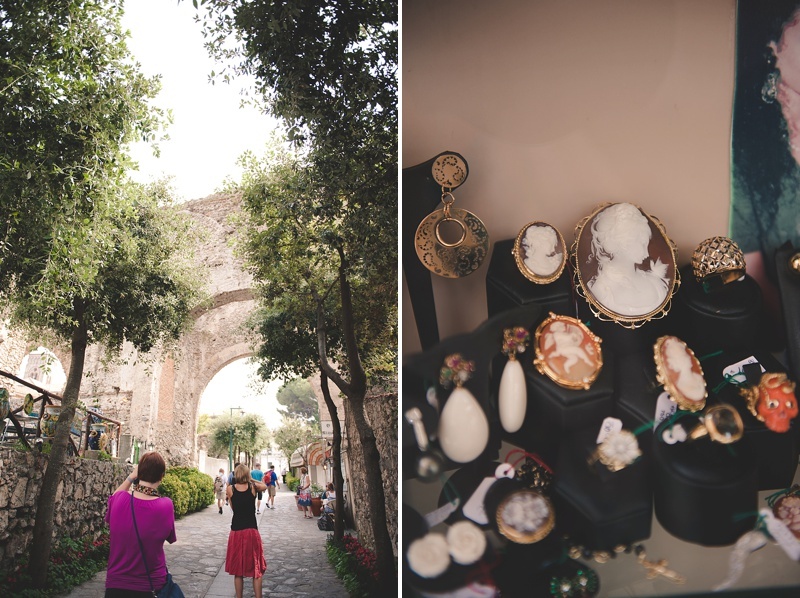 Located in center of Ravello, there is a shop named Cameo Factory and Museo del Corallo. Before we left Virginia, I had done a bit of preliminary research and wanted to go to the place that still hand-carved timeless cameos by a man named Giorgio Filocamo. For more than 30 years, Giorgio has created these mini works of art out of shells and coral, and they've attracted the attention of the everyday tourist as well as the celebrity. From the freshly squeezed juices to the sweet smell of lemon groves all over the Amalfi Coast, we knew that the Restaurant Costa Diva that our driver recommended for lunch would be good. And it did not disappoint. With a short idyllic walk down some stairs, the restaurant is built into the cliff overlooking the Mediterranean... with lemon trees growing over walkways. Food with a view is an understatement! The menu was written in both English and Italian and had a variety of meat and vegetarian dishes, but I was most excited when the server said they had gluten-free pasta. In the land of all things wheat, I was really nervous going anywhere in Italy, but I learned very early on in our trip that would be the least of my concerns. I ordered the Paccheri alla Caprese (housemade pasta with mozzarella cheese and tomatoes) as my main dish (though it was technically supposed to be meant as an appetizer! ), and it was divine. There are no tomatoes in the world like those grown in Italy. I still dream about that simple tomato sauce. The Amalfi Coast will steal your heart and teach you the art of nature's beauty... and it is the perfect place for a honeymoon or week long couple's getaway. While my husband and I only got the appetizer of a day trip, we cannot wait to go back for a more extended stay.